Our U-Pick events are popular with everybody! 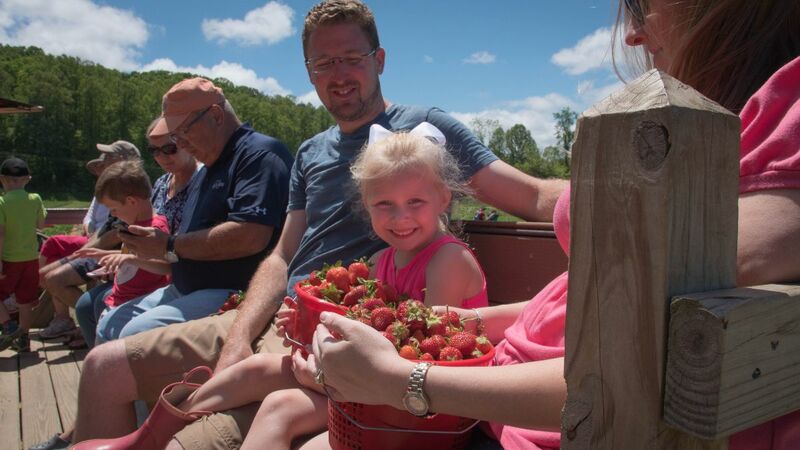 It's an opportunity to pick your own fruit in our 300-acre orchard. It's truly a one-of-a-kind experience that you don't want to miss out on! Not only do you get to pick fruit you also get a guided tour of the Orchard. After that, you can enjoy a meal at our café and find some great treats in our market. Be sure to try one of our famous fried pies! We are just a few short weeks away from being able to start picking fruit. Sign-up for email updates below to be the first to know when U-Pick starts this year.